This book has literally sold more copies worldwide than any other–except the Bible. It is one of the most influential books of all time and certainly one of the best Christian books of all time! As an example of its profound influence, the Prince of Preachers, Charles Spurgeon, read it over 100 times. The book is an allegory of the Christian life and if you’ve never read it, you should! Download it today while it’s still free! This particular edition includes simplified language for both children and adults. An ILLUSTRATED VERSION of Part 1 is also available for FREE. 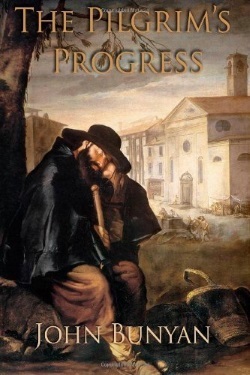 The Pilgrim’s Progress by John Bunyan is one of the most significant works of English literature. Originally published in 1678, this allegory is the classic story of Christian (an everyman character) and his search for redemption. This edition has be edited by Dr. Jesse Lyman Hurlbut with simplified (yet still elegant and complicated) language for both children and adults.